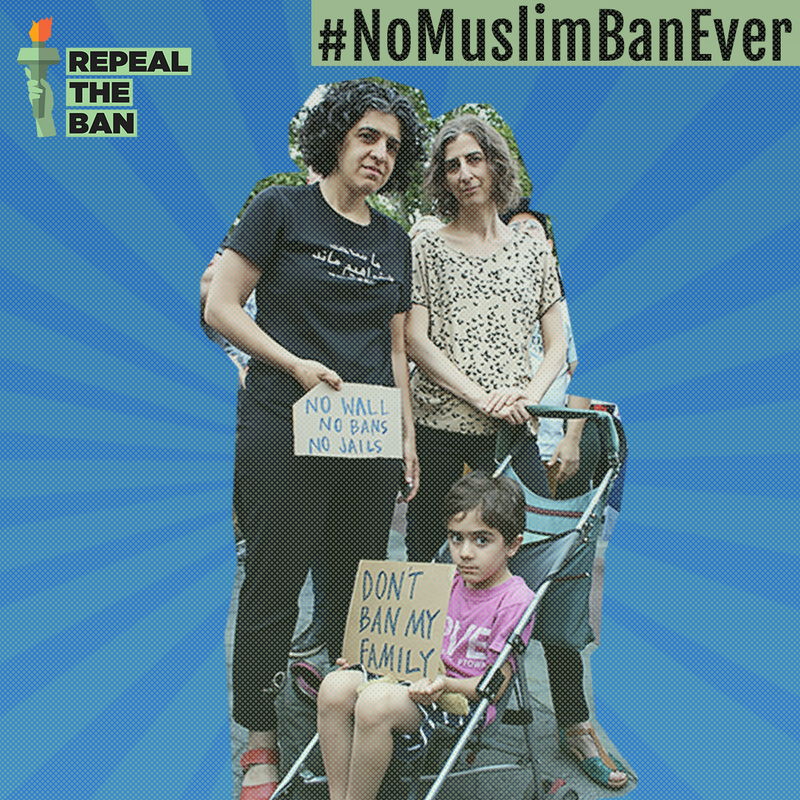 Donald Trump’s hateful Muslim, asylum and refugee bans have been blocking Muslim people from refuge and opportunity, separating families across borders, and denying life-saving healthcare treatment for over two years. Luckily there’s a new bill—the NO BAN Act—that would not just repeal Trump’s Muslim, asylum, and refugee bans—it would limit the ability for the Trump administration or any future administration to do something so unconscionable ever again. Tell your members of Congress to support the NO BAN Act now!